Visual Studio Code>Themes>Selene ThemeNew to Visual Studio Code? Get it now. 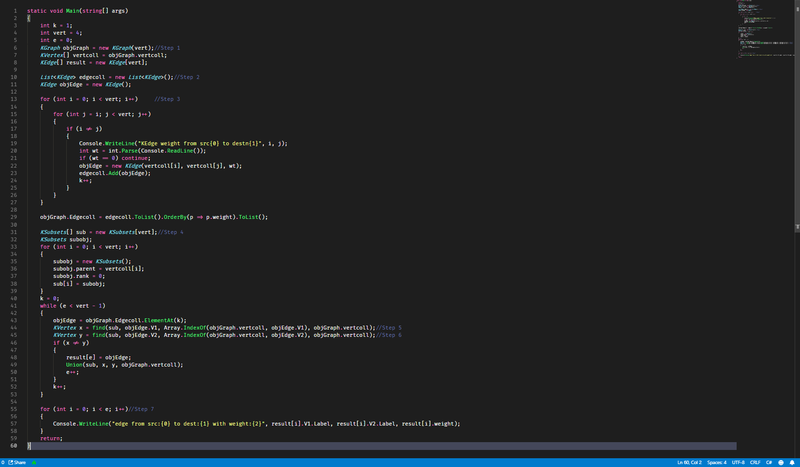 A dark theme for Visual Studio Code based on Dracula Theme. Algorithm from Kruskal Algorithm in C#.